There are many ways to feel nourished; from food, from love, from acts of Self-care. From infancy, our nourishment from food is typically paired with our Mothers love – they are often inseperable. As we age, food made with love can satiate not only physical hunger, but also our hunger for love. Offering food to others is one of the simplest ways of offering care and support. Pilar and her family have returned to their home in Victoria after a whirlwind journey of surprises. 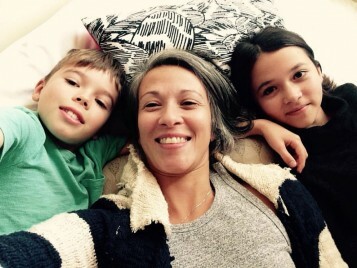 Her young daughter Tree had emergency surgery in early January to remove a brain tumour. The test results have determined that the cells were cancerous and Tree will need both radiation therapy and chemotherapy over the next year that will take them to and from Vancouver. While they are at their home-base in Victoria, we’d like to offer them meals to ease the burden of cooking. We have started a Meal Train for Pilar, Tree, and Ocean to organize the community support. Some meals are needed in the next few days, and the need may continue later in Spring depending on when their trips to Vancouver are scheduled. If you’d like to offer a meal please email info@hemma.ca and we will add you to the group to view the calendar. If you’d like to make a financial donation to the family to help with medical and travel expenses you can click here https://www.gofundme.com/z4qn5j38 We are holding this sweet family in our hearts, and thank you for doing the same. UPDATE as of February 9th: Pilar, Tree, and Ocean have traveled to Seattle for 6 weeks of treatment for Tree. While they are gone the meal train is “in the station” and when they return in late March we will get the train going again. Stay tuned!